Hyperloop technology is on its way, if a recent trademark application is any indication. 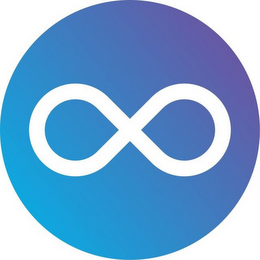 On January 23rd, a company in California called Hyperloop Technologies, Inc. filed a federal trademark application for the logo seen below. The interesting aspect of this application, however, is the identification of the services. Those services fall in Class 39 and read as follows: "[t]ransportation services, namely, high-speed transportation of passengers and goods in tubes; Consulting and advisory services in the field of transportation; Providing a website featuring information in the field of transportation; Providing information in the field of transportation[.]" According to Hyperloop Technologies' website, "Hyperloop is a new way to move people and things at airline speeds for the price of a bus ticket." The website also claims that a trip from Melbourne, Australia to Sydney in the loop would take approximately 55 minutes (an almost 11 hour trip in the car). Interestingly, this is not the first trademark application filed by Hyperloop Technologies, Inc. Twenty two trademark applications are on record with the USPTO and 20 of those are still active (although none have registered). Some of the other applications are for HYPERLOOP ONE, LOOPER, INFINITYLOOP, and HYPERLOOP IS REAL. Hyperloop Technologies filed most of the applications related to the transportation of passengers in high speed tubes on an intent to use basis, which means they are required to start providing those transpiration services before these applications can mature into a federal trademark registration. TMEP 1109.03; 37 CFR 2.88(a)(2). Hyperloop technology might not be as far off as it seems. Ohio State University added another application to its ever expanding federal trademark portfolio on January 19th. On that date, the university filed a federal trademark application for the stripe seen below. The mark is described as "a stripe design containing distinct bands of the colors black, white, and red." The application covers a variety of clothing items in Class 25, replica and collector football helmets in Class 28, and entertainment services related to sporting events, courses in sports and fitness instruction, and a website relating to sports in Class 41. The university filed the application on an in-use basis, with dates of first use in commerce ranging from 1966 (sporting events) to 1993 (football helmets). This is not the first time the Ohio State University filed trademark applications related to the school's colors. In February 2016, I blogged about a trademark application for a jersey design the school filed and how it had claimed acquired distinctiveness in designs in the past to successfully register them as trademarks. The particular application for the jersey I blogged about last year has since been abandoned, however. In that case, the Trademark Office issued an Office action in which it refused registration because "the applied-for color mark, consisting of one or more colors used on some or all of the surfaces of a product or product packaging, is not inherently descriptive" and thus not entitled to registration without a showing of acquired distinctiveness. 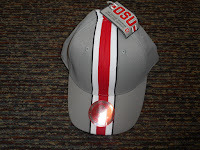 OSU did not respond (it did, however, file another application for a similar jersey in March 2016, which did register after successfully showing acquired distinctiveness). 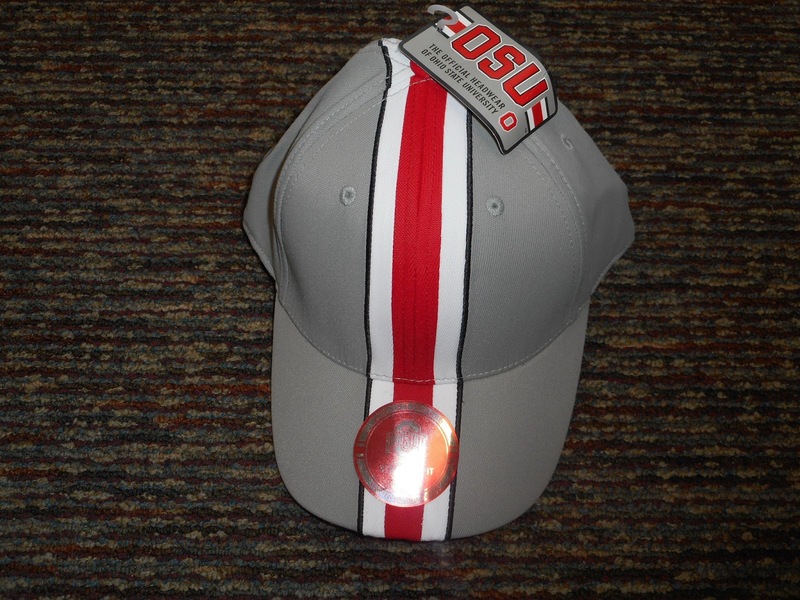 It is possible OSU may face a similar Office action for the stripe above. We will find out in approximately three months when it is assigned to an Examining Attorney. And, to be fair, the MMA/UFC fighter (or, more correctly, his business entity) included a number of other goods and services in the applications, including health and fitness training. The federal trademark applications filed on January 9th by McGregor Sports and Entertainment (an Irish limited company) were for the fighter's actual name, CONOR MCGREGOR, and his nickname, THE NOTORIOUS. barber shops; hairdressing services; healthcare services; physiotherapy; beauty salons; medical clinic services (Class 44). The fighter filed the applications on an intent to use and 44(e) basis, meaning he does have a trademark registration in a foreign country, although these appear to be the first filings in the United States. One thing notably missing from the applications is Conor McGregor's written consent to register his name as a trademark. That consent is required when a mark identifies a particular living individual. See TMEP 813. He may also need to consent to the registration of THE NOTORIOUS, as the written consent requirement applies to "a pseudonym, stage name, or nickname, if there is evidence that the name identifies a specific living individual who is publically connected with the goods or services, is generally known, or is well known in the field relating to the relevant goods or services." TMEP 813. Is HANDSOCKS Merely Descriptive or Suggestive of Mittens? Here's a fun one. 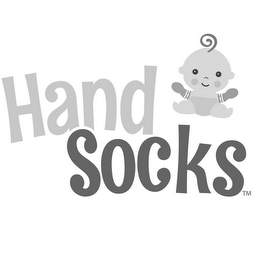 On December 30th, an entity named Handsocks, LLC filed a federal trademark application for the design seen below, the literal element of which is HANDSOCKS. The applicant filed the application in Class 25 for "mittens", listing a first use date of December 3, 2016. A very clever mark, but is it merely descriptive? Section 2(e)(1) of the Trademark Act prohibits the registration on the Principal Register of any mark that is merely descriptive of the goods or services to which it relates (without a showing of secondary meaning, that is). "A mark is considered merely descriptive if it describes an ingredient, quality, characteristic, function, feature, purpose, or use of the specified goods or services." TMEP 1209.01(b). For example, BED & BREAKFAST REGISTRY has been held to be merely descriptive of lodging reservation services. In re Bed & Breakfast Registry, 229 USPQ 818 (Fed. Cir. 1986). In addition, APPLE PIE has been held to be merely descriptive of potpourri (which I'm assuming smelled like apple pie). In re Gyulay, 3 USPQ2d 1009 (Fed. Cir. 1987). On the other hand, suggestive marks are legally strong and can be registered on the Principal Register without any proof of secondary meaning. Where merely descriptive marks immediately convey something about the underlying goods or services, suggestive marks require "imagination, thought, or perception to reach a conclusion as to the nature of the underlying goods or services." TMEP 1209.01(a). Additionally, the Trademark Trial and Appeal Board has noted that "somewhat incongruous word combinations whose import would not be grasped without some measure of imagination and 'mental pause'" is indicative of a suggestive mark. In re Shutts, 217 USPQ 363, 364-5 (TTAB 1983). So what do you think? Does HANDSOCKS immediately convey something about mittens? Or is it an incongruous word combination that requires some imagination and mental pause to determine the underlying goods? We'll find out what the Examining Attorney thinks when this is assigned to one in approximately three months.